Welcome to the first day of class! Today’s lesson is in metallurgy. One of the reasons why we should talk about metallurgy is because the use of metals within every universe is important regardless of whether they’re used for good or for evil. The same blacksmith that can shoe a horse is usually the same one that can make chain mail, armor, swords, and other weapons. With the Marvel Universe, the metals we’re going to discuss have been used for both good and destructive purposes. Some of the metals’ properties are too good to be true and using them in what would seem obvious ways might be both problematic and impractical. For example, a suit of armor made of a highly indestructible metal, like adamantium, seems like a good idea. A man wearing such a suit of armor in theory might become invincible. However, the caveat in such a suit of armor would be that the wearer never be trapped inside of it else they just bury the poor soul in his now indestructible coffin after he starves to death. When you also consider the sound stifling powers of vibranium, it might be perfect for a gun’s silencer in theory. Any man who uses that with a gun can be almost certain to fire a gun with complete stealth. The real question would be if the same metal might absorb the kinetic motion of the bullet traveling through it. Should that be the case, the owner of the silencer may now have a very expensive and shiny cigarette holder as it would be useless a gun. So, it’s important we know more about these metals as well as their practical uses and how inventors and arms manufacturers can use them. Today we’re going to talk about three of the more popular metals from the Marvel Universe – vibranium, uru, and adamantium. Originally, I was only going to talk about vibranium and adimantium, but with the movie, Thor: Ragnarok coming within the not too distant future, you should know more about what Asgard is forging with uru. 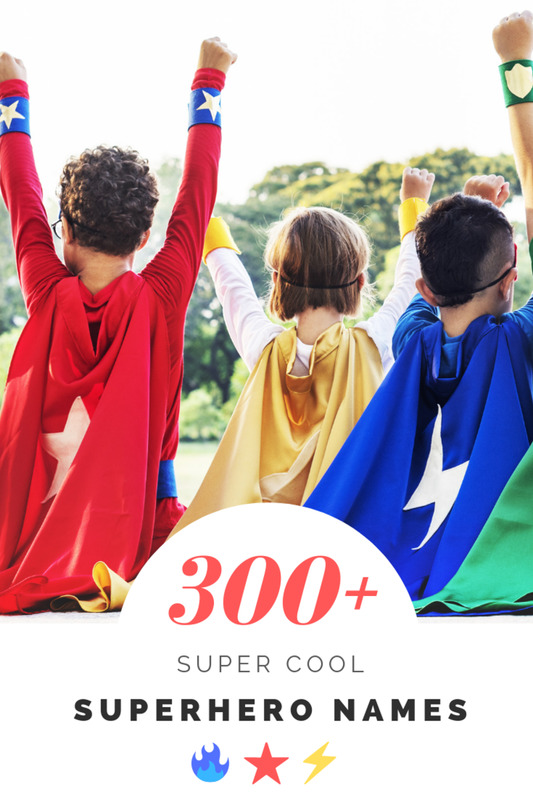 These three metals have fantastic properties and you should know more about them if you follow any of the following characters: Wolverine, Captain America, The Black Panther, Thor, X-23, Klaw, Cyber, the Constrictor, and The Falcon. We’re going to talk about these metals, where they come from, their properties, types, and how they are made or found. There are reasons why only a handful of characters have access to these metals and why acquiring them is difficult. Of all of the natural metals within the Marvel Universe, vibranium is the hardest to acquire. This is due to 1) it’s scarcity and 2) security within the borders of Wakanda, located within the jungles of Africa. Common vibranium (or as common as it gets) is located almost exclusively there. Vibranium is an extraterrestrial metal. Wakanda’s supply came from a meteor that crashed within the area millions of years ago, leaving a large mound the size of a small mountain. The mild radiation present in the metal within the area has affected much of the flora and fauna around it, including the mystic “heart-shaped” herb responsible for giving the Black Panther his powers as well as the White Gorilla Cult. The radiation has also been known to strengthen mystical energies surrounding it. Wakanda has heavy restrictions on its mining and guards its reserves closely – treating the guarding of “the sacred mound” as almost a religious duty passed from chieftain to chieftain. Due to this and its scarcity, vibranium is one of the most valuable substances on Earth. While this substance has been poached in the past (chiefly by Ulysses Klaw), the consequences of illegal mining are severe. Since the murder of former chieftain, T’Chaka, very few people are brave enough or stupid enough to violate the countries border security to mine it. There are two different types of vibranium – Wakandan vibranium (common) and the vibranium from the Antarctic Savage Land (known as Anti-Metal). 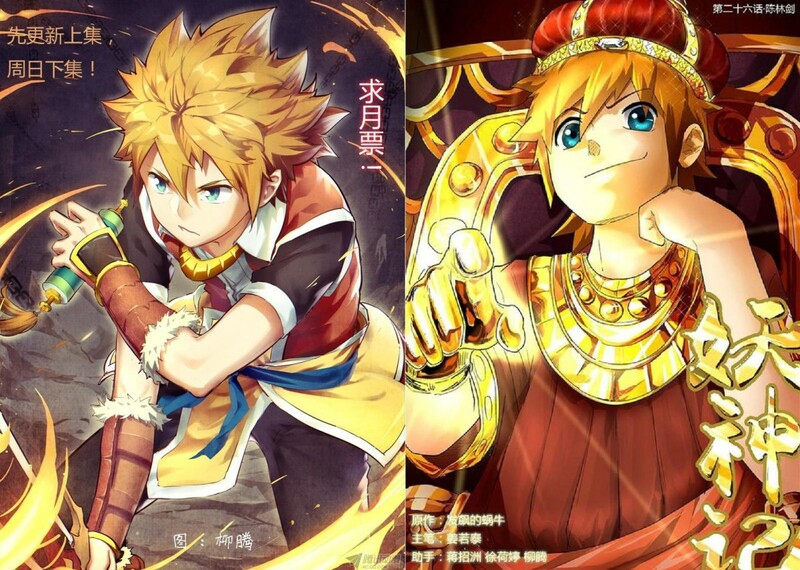 Both have different characteristics from each other. Common vibranium's chief property – and what makes it so sought after – is its ability to absorb vibrations into itself. Chiefly, it absorbs sounds and vibratory impacts and nullifies them. This explains how such a massive meteor of vibranium could land on Earth without the expected cataclysmic events that would follow it. When the meteor crashed, it simply absorbed the concussive force of its landing into itself. 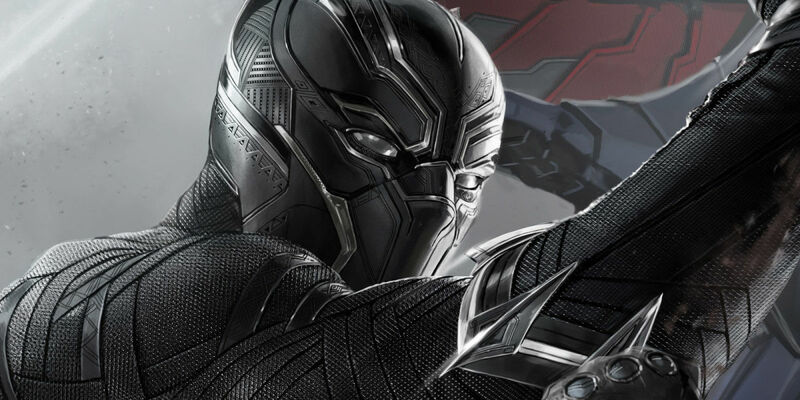 Both The Black Panther and Sam Wilson (the Falcon and current Captain America) have components of their costume made from a vibranium mesh. With the Black Panther, it is within his boots and gloves. This allows the Black Panther the ability to survive great falls provided he lands on his feet to absorb the impact. The vibranium mesh within his boots grants him stealth as well (much like a cat) as any sound of his feet touching the ground is instantly absorbed by the mesh. Sam Wilson has vibranium mesh sewn into his uniform. Any opponent who strikes Wilson on a mesh covered area will have the force of their blow absorbed by the mesh. Due to this unique property of sound absorption, it is crippling to a character like Klaw – who is made entirely of solidified sound. 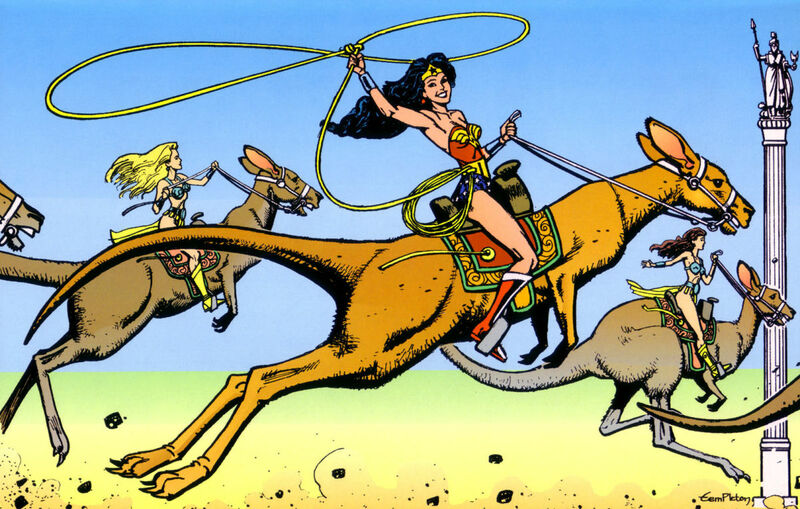 There are a few things you need to know about the Savage Land. 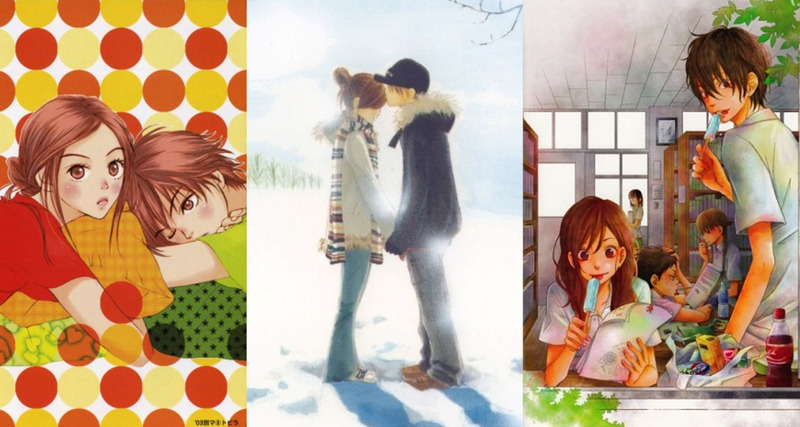 The first is that it shouldn’t exist at all. It’s a hot jungle in Antarctica. The second is that it’s teeming with animals and people that should not exist, like dinosaurs and mutates. The Savage Land was created by the alien Nuwali by order of another group of extradimensional aliens called The Beyonders. They created this to study how evolution can work within an isolated area. The area is protected from the freezing ravages of Antarctica by alien technology and surrounding volcanoes used to keep the area tropical. Ironically, the Beyonders lost interest within their experiment and kept the machinery running so that the prehistoric life and primitive cavemen still exist within the area to this day. Later within the modern age, Lord Robert Plunder (father of Kazar (Lord Kevin Plunder) and his brother “The Plunderer”) and discovered the samples of vibranium there. This type of vibranium is also known as anti-metal. Unlike common vibranium, when this stuff works, it creates vibrations and makes other metals around it weaken and melt around it. Literally, other metals liquefy around it. Through Wakandan science, they have found a way to convert a sample of common vibranium to anti-metal, proving the two are indeed related. Outside of using it within the Savage Land, carrying it is problematic as it will liquefy any metal near it. One of the few weapons made from it is a blaster used by the criminal, Plunderer, to fire its vibrations and liquefy metal. Ironically, the Plunderer can only use plastic weapons whenever he carries this device. Perhaps one of the most famous metals unique to the Marvel Universe is adamantium. Adamantium is an indestructible metal accidentally created by the metallurgist, Doctor Myron MacClain, while attempting to recreate the accident that created Captain America’s shield which was made of a vibranium/adamantium alloy mix. During World War II, MacClain was tasked to create a super metal to be used with tanks and tank production. While experimenting with vibranium he poured an iron alloy into the mold for a tank cap in the shape of a disk. 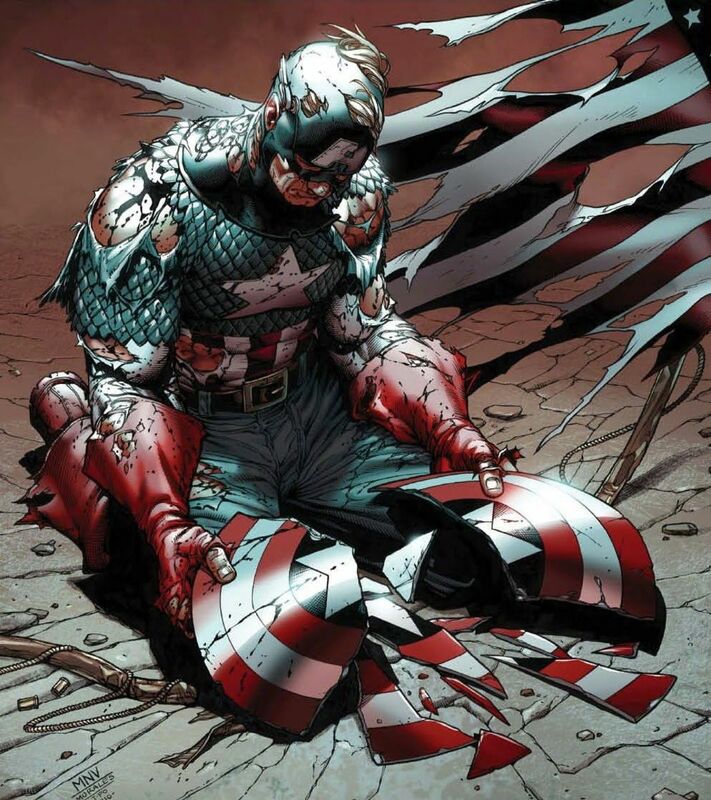 Discovering that the metal was indestructible, the government gave it to Captain America to use as his shield. The metal that his shield is made of has been dubbed “proto-adamantium”. This alloy is unique and has never been replicated. Apparently something was introduced to the metallic mixture during the cooling process which happened when MacClain had dozed off. There are only two ways to destroy the proto-adamantium of Captain America’s shield. The first is to hit it with a sufficiently powerful force. This has only happened once while Thanos was in possession of his Infinity Gauntlet and shattered it with an omnipotent blow. Please bear in mind that this shield has survived direct blows from both Thor and a rampaging Hulk. Cap’s shield was only repaired when the character of Nebula soon afterward had acquired the Infinity Gauntlet and undid every event within the previous twenty-four hours. The second way to destroy proto-adamantium is to interfere with its molecular bonding. True adamantium is only slightly weaker than proto-adamantium. It is produced by introducing separate blocks of its ingredients and set while it is in its molten form at 1,500° degrees Fahrenheit. Once it is completely mixed together and begins to cool, there is only eight minute window to shape it before it hardens and becomes indestructible. Future attempts at raising the metal to a melting temperature will not work as the molecular bonding of the metal has permanently stabilized. 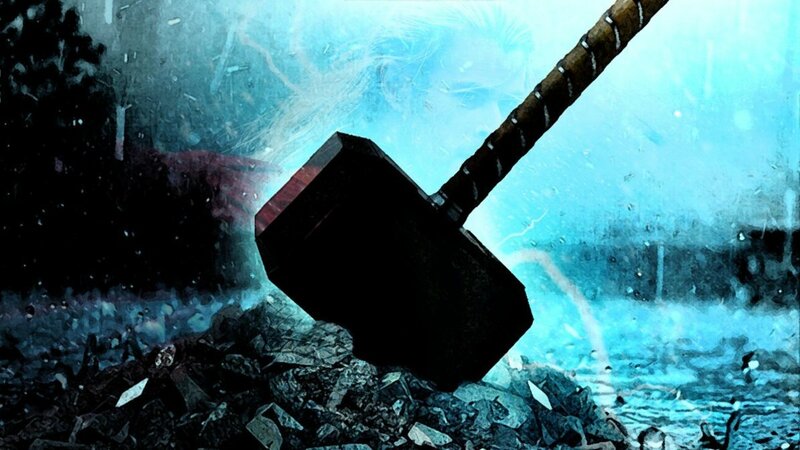 So powerfully indestructible and so impervious to harm is true adamantium that Thor, using his enchanted hammer at full strength, will barely dent it. Once melted into a razor sharp edge, it will not dull, chip, crack, or flake. It will merely cut through anything else with relative ease. The ingredients to making true adamantium are a closely guarded government secret. It is obviously classified. It is also very expensive to make. Adamantium made in large quantities is usually made by a cheaper and weaker grade called “secondary adamantium”. Secondary adamantium, while not as strong as true adamantium or proto-adamantium/vibranium, is still far stronger than titanium steel. Items made of this substance are not indestructible and have on occasion been destroyed by forces on the level of Thor’s hammer and the destructive use of the Overkill horn made by S.H.I.E.L.D. 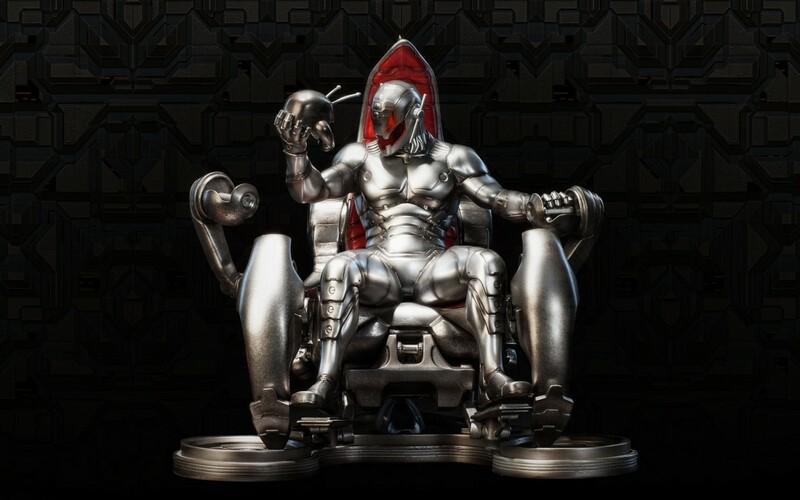 Items made of true adamantium are Wolverine and Sabretooth’s skeleton and claws, Ultron’s armored body, Lady Deathstrike’s skeleton and talons, Tess-1’s armor coating, and the criminal, Cyber’s skin. The thing to bear in mind is that the adamantium strips bonded to Wolverine’s skeleton were introduced while the metal was molten hot. This metal, pronounced oo-roo, is almost exclusively used within Thor and the dimensional city of Asgard. It is a metal ore mined in the Nidavellir dwarf world of the nine worlds of Yggdrasill, the world tree. It is mined, forged, and crafted by those dwarves. Raw uru has the appearance of badly wrought iron, which is contrary to either vibranium or adamantium which take on the appearance of stainless steel once hardened. Due to the quality and durability of this quasi mystical metal, it requires exceptional pressures to forge. Most lean toward a forging in the heart of a star or a magically enchanted forge. Uru’s near indestructible durability is only one reason to use it in the creation of mystical weapons, the other is its ability to absorb and maintain magical properties and energies. Uru not only does a great job absorbing magical energy like a sponge, but it is also notoriously difficult to enchant. However, once it is enchanted, it becomes even more durable. 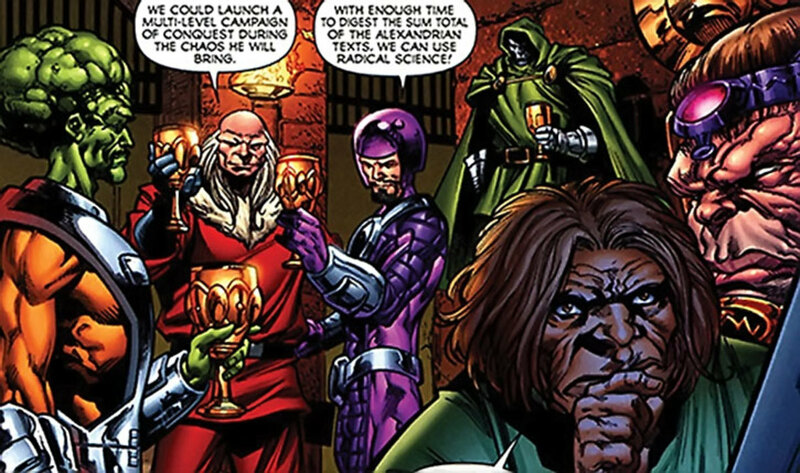 The problem with getting details regarding uru-based weapons is that all of the samples provided within the Marvel Universe are loaded with enchantments keeping others from lifting them for further analysis. Something about “having to be worthy”. Uru does have a symbiotic relationship with its main user where a user, like Thor, can lend some of his own strength into the metal to increase its durability. Weapons made from uru are the following: Thor’s hammer, Mjolnir, Beta Ray Bill’s hammer, Stormbreaker, the late Thunderstrike’s mace, Thunderstrike, Odin’s spear, Gungnir, and Heimdall’s sword. Mjolnir, Stormbreaker, and Thunderstrike have several enchantments placed on them by Odin. The first is that only one who is worthy can lift them. The second enchantment forces the weapon to return to the exact spot it was originally thrown (once striking its target or being called back by its master). The third enchantment allows the user to summon the elements (like rain, thunder, and lightning). The fourth enchantment opens mystical portals. 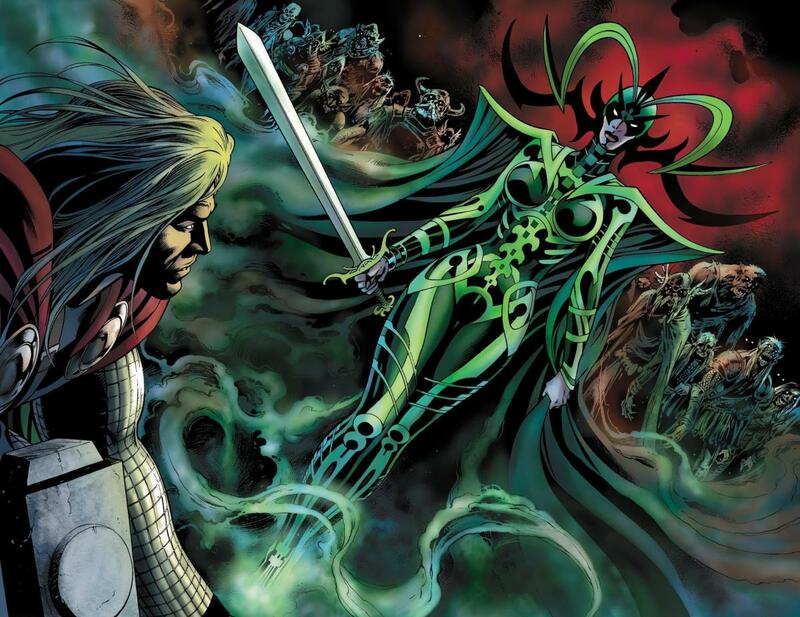 The fifth enchantment allowed its master to change guises with a strike onto the earth – a limitation to Thor was in his lessons of humility, his hammer could not be out of his hand for more than sixty seconds or he would revert to his mortal guise of Doctor Donald Blake (this limitation has been removed from Mjolnir with Thor, but it remained with Thunderstrike and Beta Ray Bill). While uru is incredibly durable, it is not indestructible like adamantium or proto-adamantium. It can be broken with a significant force or through beings that have equal or greater mystical power than Odin. After all, a durable metal with an enchantment is only as good as the metal and the enchanter. Thor’s hammer, Mjolnir, has been broken and re-forged more than once. The Destroyer (Asgardian automation) has cut through it. The Molecule man vaporized it. It has also been sliced apart by a mystical scythe. There are other interesting metals within the Marvel Universe. I encourage you to research them as well. For example, there is promethium – which has to remain in Belasco’s “Otherplace” and it looks like a giant animal heart. There is nega-metal which was used to make Captain Mar-Vell’s nega-bands. It is an alien Kree race product that has several beneficial effects including flight and energy manipulation. There is carbonadium a metal that was poisonous to Wolverine and would interfere with his healing factor. It is radioactive and used by the criminal, Omega Red. There is epidurium – which is a key metal used in the creation of S.H.I.E.L.D. Life Model Decoy skins. It is rarer than adamantium or vibranium. Marvel even has its own version of cavorite, which hearkened back to H.G. Wells’ novel, The First Men in the Moon. Its chief quality was its ability to negate gravity and work in space crafts. While all of these metals have their place within the Marvel Universe, they are not as widely seen or used as adamantium, vibranium, or uru. It is also important to know the difference between adamantium and the proto-adamantium/vibranium substance Captain America’s shield is made of. What makes Captain America’s shield the perfect offensive/defensive weapon that it is that along with its indestructibility in withstanding tremendous forces, it also allows those impacts to be absorbed and disbursed through the vibranium component. 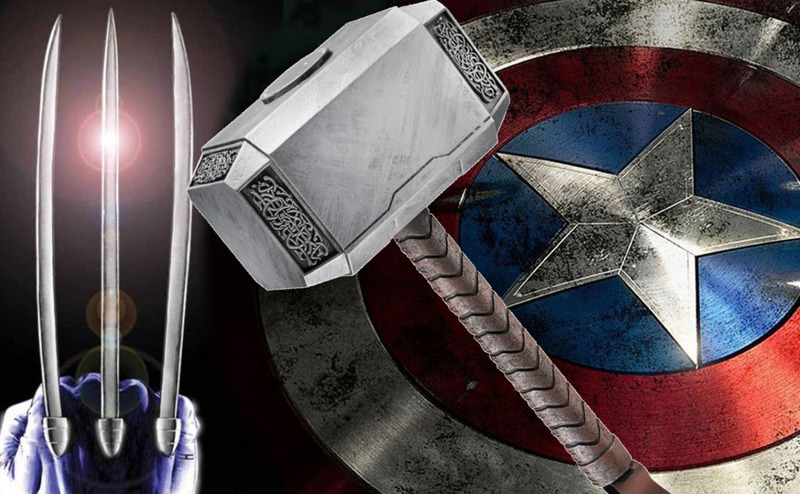 An ordinary adamantium shield without the vibranium would protect someone from harm but it will not absorb the shock of an object like Thor’s uru hammer from hitting it – hence the reality of Newtonian physics would throwback anyone holding it. A shield made of vibranium would have the shock absorbing characteristics but might still be bent or destroyed by a force that was strong enough without striking it. Hence, it would disburse the kinetic energy of Thor’s hammer, but it might not survive being bent in half by the Hulk or being dipped in acid. The vibranium in it also makes it the perfect throwing tool and assists with its aerodynamics. It is perfectly balanced and slices through air friction like nothing else. Throwing cap’s shield is more art than science. Only a few people have mastered throwing it – among which are Captain America, USAgent, the Taskmaster, Hawkeye, and Sam Wilson (the current Captain America). Working with metal objects may seem to be the be-all-end-all of weaponry, however, they still have the limitations that all metals have. As all ferrous material is affected by magnetic forces, characters like Magneto have a definite advantage during battle. As Wolverine has learned more than once, having an adamantium skeleton sounds good on paper until Magneto forces it through your skin pores. There is also the consideration of weight. Metal is heavy. When you consider that it not only takes a mutant with a healing factor to survive the process of having adamantium bonded to his skeleton, but also it takes a man exceptionally strong to carry an extra hundred and fifty pounds within his body just to move and function. There is a trade off in knowing a standard .45 caliber bullet won’t penetrate Wolverine’s skull, at the same time, he might never want to go swimming in deep water – which was the bane of any armored knight. Working with these metals requires careful preparation and consideration as the consequences from improper handling can be explosive. In the case of Peter Parker’s childhood friend, Charlie Weiderman, he had conceived of a way of creating a vibranium skin suit that would keep soldiers from being injured. While attempting to use a shortcut in preparing the vibranium, Weiderman blew up his lab and emerged with a flexible vibranium coating around his skin which gave him meta-human abilities at the cost of most of his sanity. 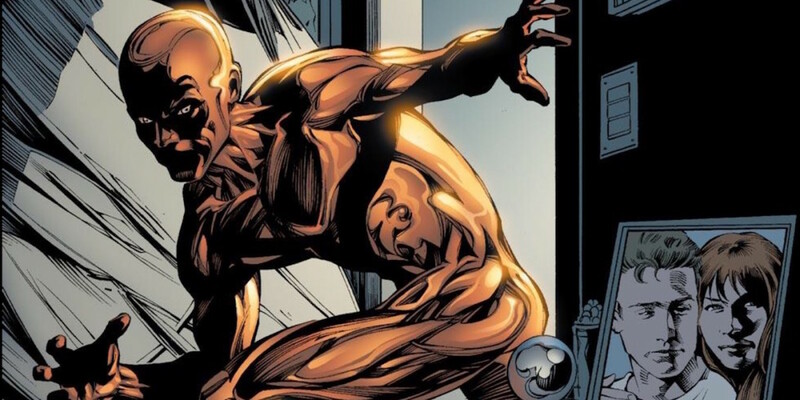 This vibranium “molten man” was stopped when he was placed into a pressurized chamber and forced the flexible skin metal into a solid state. Weiderman has since been freed from his skin suit and has returned to civilized society. Adamantium is equally dangerous as it cost Wolverine his life. In the final chapter of his adventures, he fought Doctor Abraham Cornelius – the man who bonded the adamantium to his skeleton. At the climax of the battle, Wolverine slashed through a container of molten adamantium and was covered in it. He suffocated during the cooling process and died. The lesson, of course, being “be careful working with molten adamantium”. What metal would you like to have access to? Vibranium, adamantium, and uru are three different durable metals with three very specific uses. Vibranium is used to absorb and disburse vibrations and impacts, while adamantium and uru are known for their durability as well as their indestructability and magical absorbing aspects, respectively. Wakandan vibranium is highly guarded by the Wakandans – which makes it hard to acquire. There are two types of vibranium: Wakandan (common) vibranium and Savage Land “anti-metal”. Common vibranium absorbs vibrations while anti-metal liquefies any metals in the vicinity. Common vibranium has been used as both body armor to Sam Wilson, the Falcon, and mesh within the gloves and boots of The Black Panther. Adamantium was invented accidentally by Doctor Myron MacClain. There are three types of adamantium. The strongest is proto-adamantium, followed by true adamantium, and secondary adamantium. It is very expensive to produce and the formula is classified by the government. Uru is a metal produced within the nine worlds of Yggdrasil, the world tree by dwarves. It is highly durable and resembles badly wrought iron. It is highly desired due to its ability to absorb mystical energies and enchantments. Uru and vibranium are not indestructible. If you have any questions, please submit them in the comments section below. Can adamantium be manipulated by resonance frequency? That is a great question, and worth debating. In one respect this is an immovable object meeting an irresistible force question. People use resonance frequency analysis to measure the stability of an object. The higher the frequency, the more stable the object. True Adamantium itself which holds incredible molecular stability once it has hardened and cooled does not chip, flake, or break. The question of it being manipulated by resonance frequency would depend upon whether vibranium was one of the alloys mixed in with the metal. As stated in the article, the ingredients to adamantium is a closely guarded secret. That said, I would feel relatively confident that an object like Captain America's shield - a product of Proto-Adamantium or an adamantium-vibranium mix - would be immune to that process as the vibranium in that make-up would absorb the sound and disperse the energy harmlessly. What we do know is that while working vibranium is immune to such a process, we also know that nothing - outside of the vibranium cancer episode - has been able to break Cap's shield. 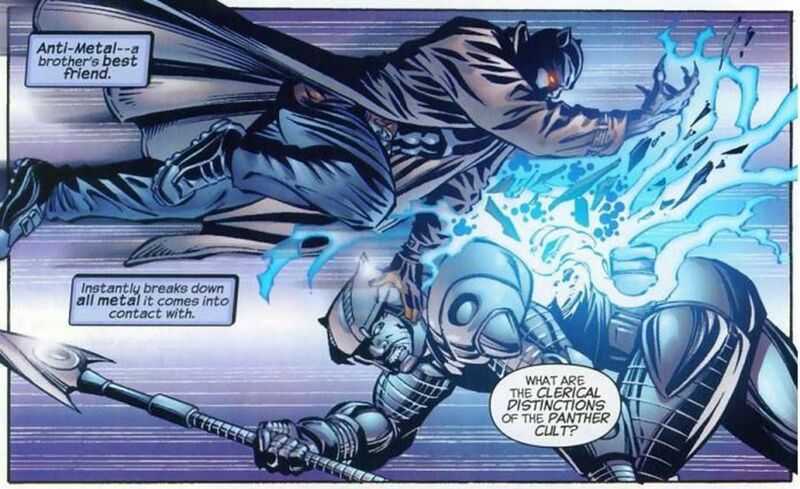 There are very few (if any) true examples of adamantium breaking for any reason. The one time I remember seeing a chip of adamantium in an object from stress came after a version of the Hulk, freed from Bruce Banner's persona, struck a statue of himself and the picture showed visible cracking. Whether this was true adamantium or secondary adamantium is unknown. In any event, my final answer is that it is unlikely that simple resonance frequency techniques could manipulate adamantium. I think it would only confirm its indestructibility. 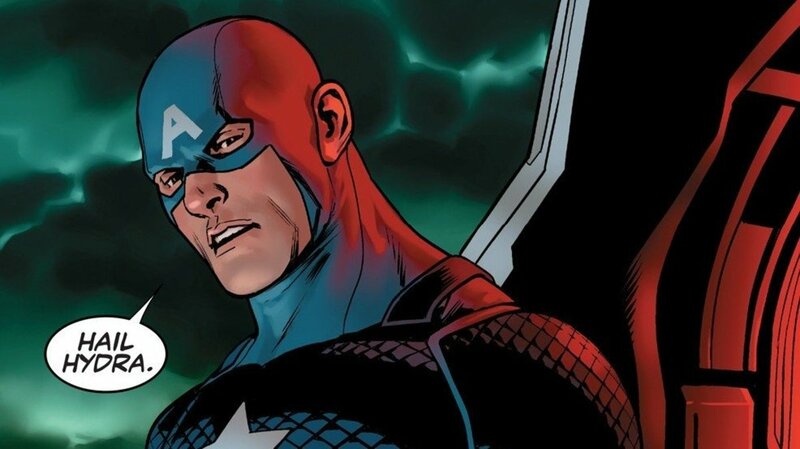 The incident you speak of is the vibranium cancer that was started with Cap’s shield. That situation was resolved. After the events of Battleworld (Marvel’s reboot and merge with its ultimate universe) vibranium is working as good as new. Wow. Really cool list and awesome details. I feel like this should belong in a Marvel Encyclopedia or something. It read like an dictionary entry, with all your details and examples. Wasn't Vibranium made inert a number of years ago? I remember a Spidey issue where a scientist at Peter's job was trying to create "Reverbium" as an alternative when Vibranium was made useless, I guess. Is that still the case in the comics?